"She was very knowledgeable of the market and took into account the needs and likes/dislikes I expressed about houses. She set up visits accommodating our schedule. She was very helpful in finding us an inspector and with other ancillary information about Saginaw." 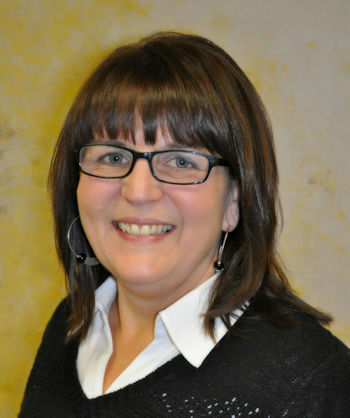 "Terri is friendly, helpful and attentive to her clients. She always gets back to you and tries her hardest to find the right home for you. She is still in the process of helping me find the perfect home for a friend." Thank you doesn't seem quite enough to say to you. My parents bought the house on Church Street in 1951, I was one year old. Both of my sisters were raised in that house. The house had a lot of memories, some good, some bad, but ALL cherished! You went above and beyond your responsibilities as a REALTOR and you quickly became a friend! You are truly a credit to your profession! It was because of your efforts that my sister's and I were able to "finish a chapter" in saying good bye to our Mother. I know there was a reason we chose you to represent us. You are one-of-a-kind and every time I see a RE/MAX sign I will think fondly of you! With greatest appreciation for ALL you did....THANK YOU! "Terri was instrumental in selling our house. With the housing market being what it is in Saginaw; Terri worked hard for this sale with very little reward. Thanks Terri for a job well done." "Terri was a super agent to work with. I felt so secure in being out of state and letting Terri take over. She kept me up on what was happening. She encouraged me to call her whenever I had questions or concerns and I did that. Thanks, Terri, for all you did for me." ""Thank you for every thing! You are the best Realtor!" "Terri did an outstanding job selling my house. I also used her to purchase the home she later sold for me. She is hard working, open, honest, knows her job, and is not afraid to tell you what she is thinking. She kept me up to date all the way through the process and went out of her way to help in any way she could"
"“Terri helped me buy a home. future holds for us in our new house.